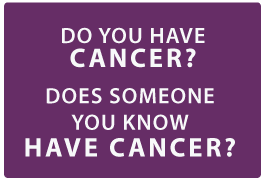 Cancer Services Network is supported by charitable gifts from individuals and corporations in our community. Each year, we host fundraisers to benefit our programs, and third party groups and organizations also hold fundraisers to benefit Cancer Services Network. Contact us if you are interested in hosting an event, volunteering at an event, would like to donate goods or services for an event, or would like information on sponsoring an event. Frontier Texas at 9:00 a.m.
Warm-up provided by Orange Theory Fitness at 8:30 a.m. Walk up registration: 8:00-8:45 a.m.
5K Run start time: 9:00 a.m. This is a 5K Run and 1 Mile Walk to honor those who have survived cancer, in memory of someone who fought the courageous fight, and to encourage physical activity for friends of Cancer Services Network. All proceeds benefit Cancer Services Network. To register as an individual or team, come by our office, or register online. Want to volunteer to help with Run Together? Come join us for a great style show, silent auction, and cash bar as we celebrate survivors in our community and remember those who fought the hard fight. All proceeds benefit Cancer Services Network.